In the summer months, no doubt seafood is always a favorite. 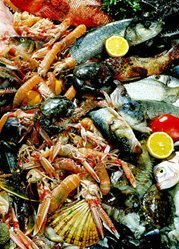 And with many of the world's waters being overfished or exploited, knowing how to navigate the aisles of our local fish markets is becoming more and more -- a must. This and other related subjects will be fully explored tomorrow through a program in conjunction with the Environmental Defense's Ocean Alive campaign. Along with Chef-Instructor Melanie Underwood, this one-day course will teach seafood lovers and cooks how to use environmentally responsible ingredients in dishes like steamed New Zealand mussels with coconut milk, green curry paste, and lemongrass; seafood salad with rice paper, Artic char with Gremolata; and roasted black cod with shallots, and more. And that's about it for me here this week. Have yourselves a great 4th of July weekend, all. Peace. According to Forbes.com it seems Japan has just lifted its ban on French poultry brought on by global concerns of bird flu. In addition, Japan will now resume its sales of foie gras, the much maligned goose and duck liver delicacy that has animal activists here in the U.S. in such an uproar it has prompted many cities to impose their own bans on its overall sale in the food industry. 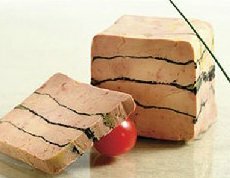 Japan is reported to be the fourth largest importer of French foie gras after Spain, Switzerland and Belgium, buying nearly 400 tons last year. So it looks like soon, American foie gras lovers will have to add on a plane ride across the seas -- for a taste of this pricey dish. And with no resolution in sight, foie gras, which involves the force-feeding of ducks and geese, has no doubt become the "fur" of the new millennium. And like its predecessor back in the 1980s and 90s, the burning question still might be: "Do we really need foie gras (or, garments made out of the hides of cute little furry animals for that matter) -- in order to live?" And of course, the answer would be: Probably not. But then again, the next question to follow would surely be: "Do I personally want to find myself on the wrong side of this fiery debate??" And most definitely the answer would be... Not a chance. I will say, however, that with activists having already used tactics such as destroying private property and making threats of violence toward foie gras purveyors as well as chefs and their families is as always -- a bit over the top. These kinds of tactics should also come to a full STOP immediately, if not sooner. You can read more about this, as well as other aspects involving the ongoing flap over these forbidden poultry innards here. Yes, I'm baaack! And this time, to remind you former TV talk show junkies of the 90s that if you really and truly liked those "tough love" episodes featuring a bunch of hapless ne'er-do-wells who needed to be whipped into shape, the same applies in the culinary world as well. Yes, you guessed it... Culinary Boot Camp sponsored by none other than the good folks at the CIA (pictured above). 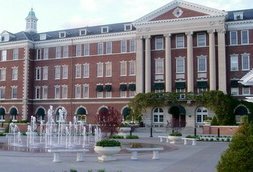 Founded in 1946, the CULINARY INSTITUTE OF AMERICA (gotcha!) is an independent, not-for-profit college offering bachelors and associate degrees in culinary arts and baking and pastry arts. Courses for food service professionals are offered at the college's main campus in Hyde Park, New York, and at its branch campus for continuing education, the Culinary Institute of America at Greystone, in St. Helena, California. And, of course if you don't have the time to be called everything from a hopeless kitchen muppet, to a useless pile of...(oops, sorry -- that would be the last episode of Hell's Kitchen over on the Fox Network, wouldn't it?). 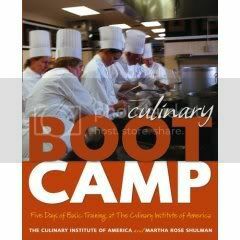 Anyway, you can always pick up a copy of the recent book penned by the CIA and Martha Rose Shulman titled Culinary Boot Camp: Five Days of Basic Training at The Culinary Institute of America . A close friend recently went through this basic training course and shared some fascinating details -- and in this particular case, they were all favorable. So no doubt, this might be an experience I'll be jotting down on my own to-do list real soon. Stay tuned. Meanwhile there's more information about the Boot Camp and other CIA programs here. Good Monday, and happy summer (yep, it's finally here! ), one and all. Peace. each day attended by 500 women from all over the world. More information here with a downloadable brochure highlighting each event. Be back soon. Until then... Peace. 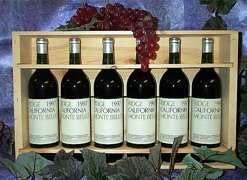 After 30 years a few venerable Californian wines have once again beaten their French counterparts in a re-run of the Paris Tasting of 1976, according to the latest report at Decanter.com. Against all expectations (and odds) the Cabernets – Ridge Monte Bello 1971, Stag's Leap Wine Cellars 1973, Mayacamas 71, Heitz 70 and Clos du Val 72 – were voted superior to their rivals in Bordeaux. In last week's notable series of coordinated tastings in London and California, hosted by Steven Spurrier, some of the world's most eminent tasters found the Californian wines to have retained more of their verve over the years than the Bordeaux. The tasting was an exact rerun – with the same wines – of the Paris Tasting of 24 May 1976, in which Stag's Leap and Ridge were voted superior to the French wines by a panel of eminent French critics. Read more here for the actual wines tasted. Would you nod politely, smile, then proceed to hand over complete and free rein of your shopping cart ? 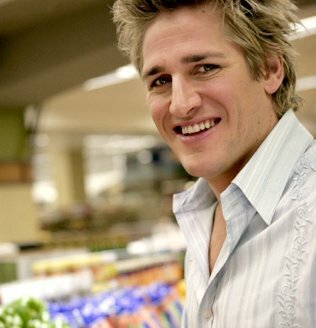 Well, that's basically the premise of the Take Home Chef the new show starring the handsome and hunky Australian chef, Curtis Stone. Sporting a chiseled physique and spiked blonde highlights all at the tender age of 30, Chef Stone's culinary skills are equally impressive. After cooking his way through Europe, he worked for Michelin three-star chef Marco Pierre White in London and eventually became head chef of White's second restaurant, Quo Vadis. In each episode of the show, Curtis prepares a menu worthy of attention with his chosen shopper standing by as chief onlooker and sous chef. The show debuts June 16 at 8 p.m. on The Learning Channel, but they're showing sneak peeks presently at 5 and 5:30 P.M. weekdays. And needless to say, you'd win both my shopping cart and my kitchen, Chef Stone. So best of luck with Take Home Chef and looking forward to perhaps meeting up with you one day in the produce section or gourmet aisle… of my local Bag 'N Buy. We've seen him battle it out on both the 1990s Japanese version of Iron Chef as well as its un-dubbed spin off, Iron Chef America on the Food Network channel. And now, Iron Chef Masaharu Morimoto will soon be launching his first book titled simply, "Morimoto." The fully illustrated book will serve as an in-depth look at the chef’s personal culinary journey and his philosophy of Japanese cuisine, including 120 recipes. Recently, Rogue Ales launched two new namesake beers: Morimoto Hazelnut Ale and Morimoto Soba Ale. 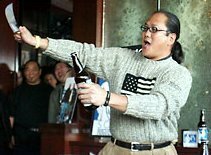 Chef Morimoto was on hand in Seattle for the launch and press conference, where he picked up a bottle of the hazelnut ale in one hand and a large custom-made knife in the other. He spoke a few words in Japanese, then lopped the head off the bottle -- after the second try (pictured above). He chanted "Let's Go, Mariners!" and then autographed a few bottles of beer for those in attendance. Read more here about how Morimoto, an apparent Seattle Mariners enthusiast was also scheduled to throw out the first pitch at a game the following day against er, well…the New York Yankees. In any event, best wishes for going all the way with your new book, Chef Morimoto. The book by DK Publishing is scheduled to hit bookstore shelves by September 2007. That's it for me here this week. Make it a great weekend, all. Peace.